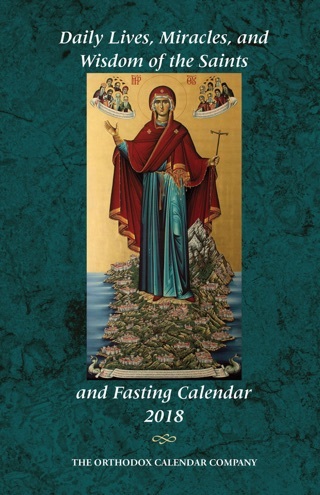 This calendar follows the Revised Julian Church calendar (New Calendar) of the Eastern Orthodox Church. 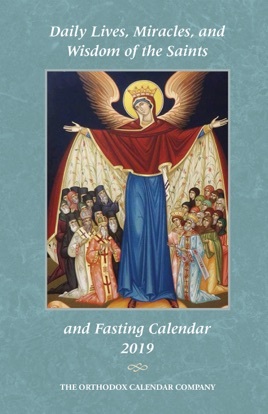 The Lives of the Saints Calendar is a 365-page calendar that follows the Revised Julian Calendar (New Calendar) of the Eastern Orthodox Church. 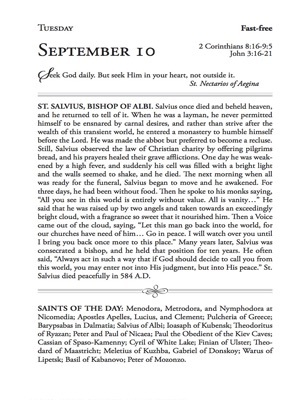 Each day features the life of a saint, an insightful Orthodox teaching from the saints and elders, a comprehensive list of the names of all the saints for the day, Gospel and Epistle readings, fasting guidelines, and references to feasts throughout the year. The stories include the lives of Greek, Russian, Georgian, Romanian, Ukrainian, Serbian, English, and American saints – plus many more.